Want to liven up your summer table? Look no further than sour pickles. Naturally fermented, sour pickles are rich in beneficial bacteria and food enzymes, offering a dairy-free source of probiotics . 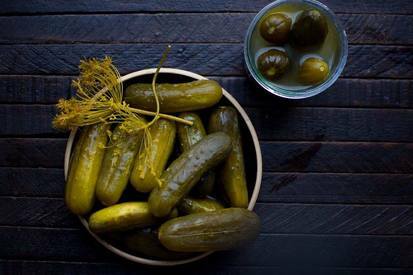 Vinegar pickles lack the beneficial bacteria found in traditional, sour pickles. To ferment real pickles they must go through lactic acid fermentation – a process that encourages the proliferation of beneficial bacteria.